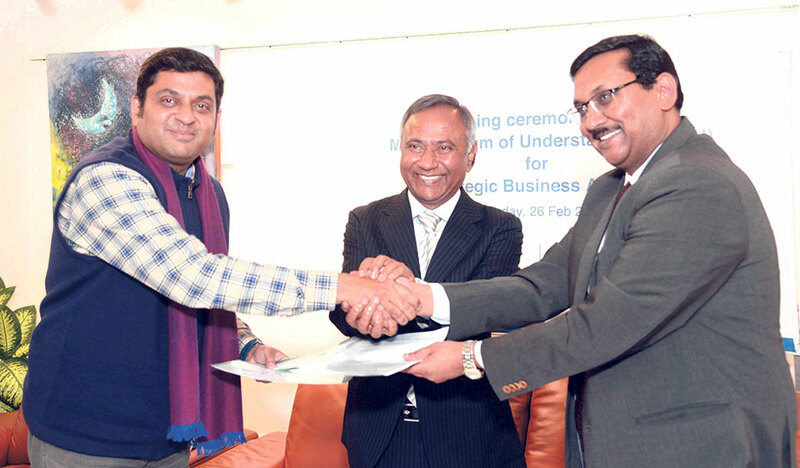 KATHMANDU, Mar 1: Standard Chartered Bank Nepal Ltd (SCBNL) and Nepal Mediciti have signed an agreement to provide various discounted services at the hospital to the bank's priority clients as well as debit and credit cardholders of the bank. 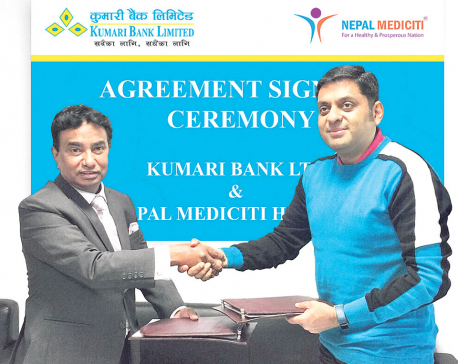 Issuing a statement, the bank said that its CEO Joseph Silvanus and Sudhakar Jayaram, CEO of Nepal Mediciti, signed the agreement amid a ceremony held on Monday. Under the agreement, bank's priority clients would be given membership to the exclusive Mediciti Privy Program free of cost. The program provides the clients a dedicated point of contact, free first consultation, tele-consultation, access to health talks/awareness screening etc and discounts of up to 10 percent on a range of services, according to the statement. "As per the agreement, all the debit and credit card holders of Standard Chartered Bank Nepal will be entitled for seven percent discount on the services offered by Mediciti, except drugs, consumable, implants & doctors' consultation fees," the statement added. KATHMANDU (REPU-BLICA): Standard Chartered Bank Nepal Ltd (SCBNL) has won `Nepal's Best Bank' award in the Awards for Excellence 2017.